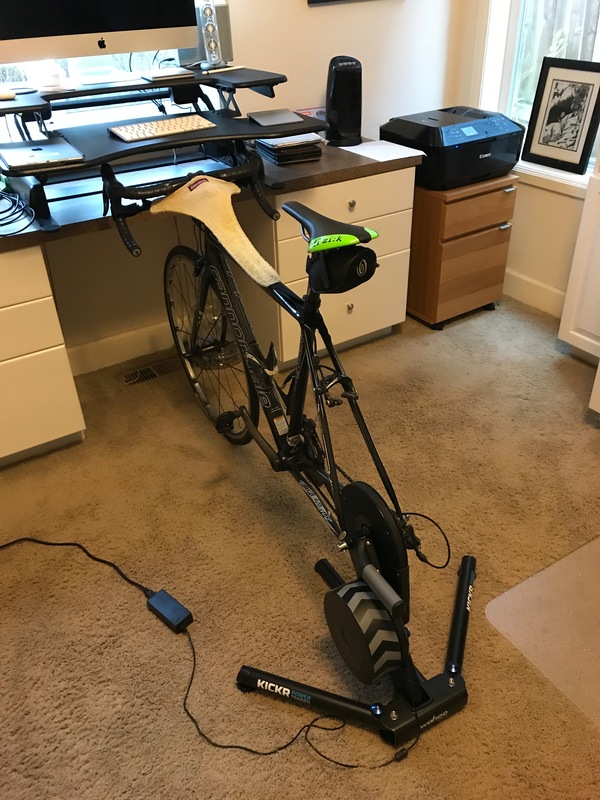 Being listed on Deloitte’s Fast 500, talked about on rides, and connected to the popular Zwift, means I just can’t ignore Wahoo KICKR Trainer any longer. It’s not that I intended too, it’s just that I work from home. I go on a ride to get out of the house, in most weather, and to clear my head. 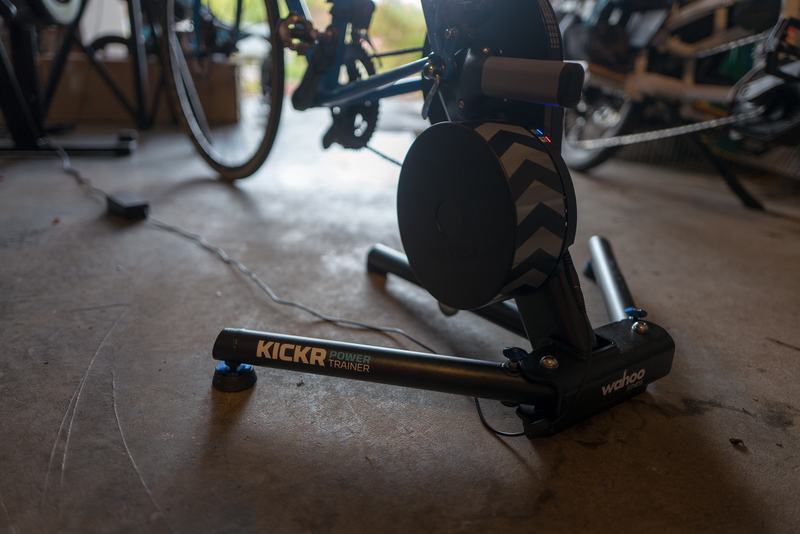 Wahoo KICKR Trainer in Eric Stobin’s garage, he’s the North American Sales Manager. In the past 5 years, gear has gotten so much better and with Fat Bikes, there’s really nothing stopping a good ride from happening, except motivation and for me bad air. (I’ll make an exception for freezing fog as that’s the absolute worst condition to ride in). A wind trainer, as we used to call them, or rollers was for a good warm up before a race. I just don’t do well sitting in a basement grinding the pedals to a prescribed workout. But everyone else does…including my friend John who I asked to test the Kickr out for me. My friend John’s set up in his home office. 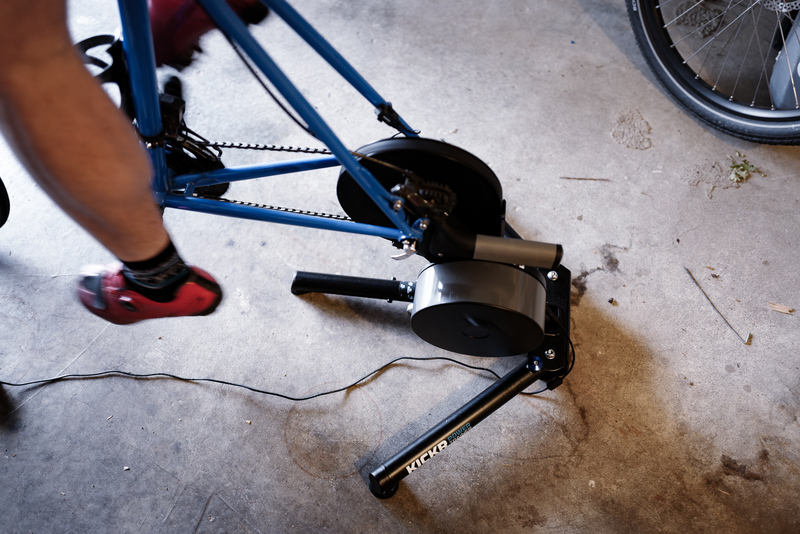 And for good reason, the predecessors like Tacx or a Saris connected to Trainer Road mimicked “road feel” with a resistance motor and paced you through a workout. It was primitive compared to the video game style of Zwift now and with attention paid to industrial design, there’s a real nice experience with a trainer. Eric warming up the Kickr warm me. Really, before trainers like KICKR “wind trainer” meant you were pedaling what amounted to a fan with a magnet and would wear out a tire from the roller. Considering their success with strong competition, what sets Wahoo Fitness part is their evangelism. Their sales people are out in the shops, the races, and rides being face forward with their clients and customers. It makes a huge difference and they’ve been rewarded with record-breaking sales and no signs of stopping in 2018. 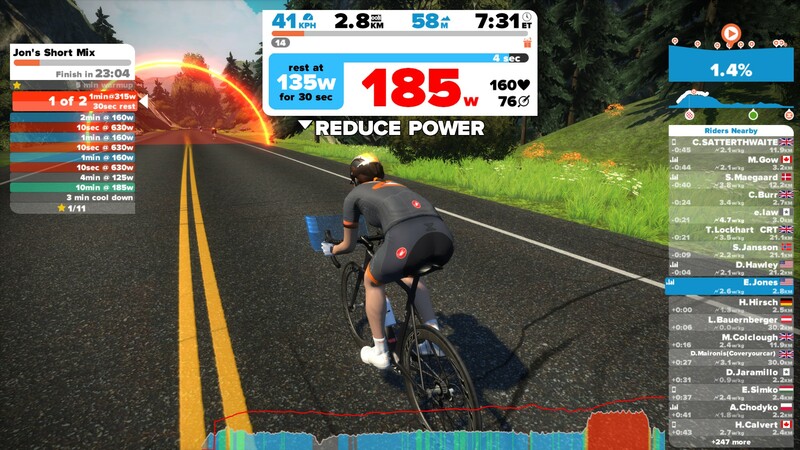 Getting outside is ever more important to me as I shared on Medium earlier this week, but if you’re interested in a high-quality, next-generation trainer, I recommend the KICKR. Improved handle: much easier to carry and doesn’t flop over. Up next, I’ll tell you how Wahoo targeted Garmin and built a great bike computer ($329 on Amazon) too. And, with John raving about the KICKR so much, I’ll try it out as well. Find the KICKR at a dealer near you, online, or from Amazon.